Kat and Jesse are the coolest parents. 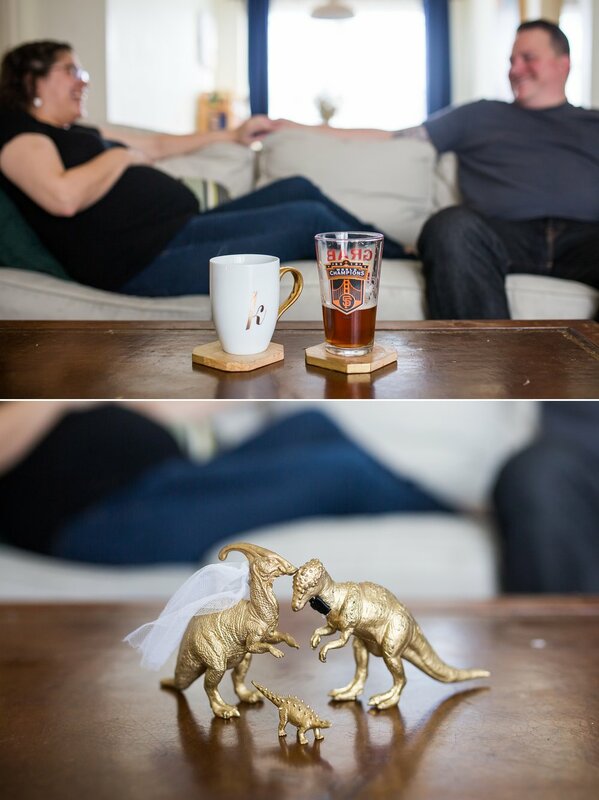 Reason 1: everything is dinosaurs. Reason 2: they love each other so much I can't even stand it. Reason 3: They are super aware that babies are weird and amazing. This was my first maternity session, and I couldn't have asked for better parents to photograph. 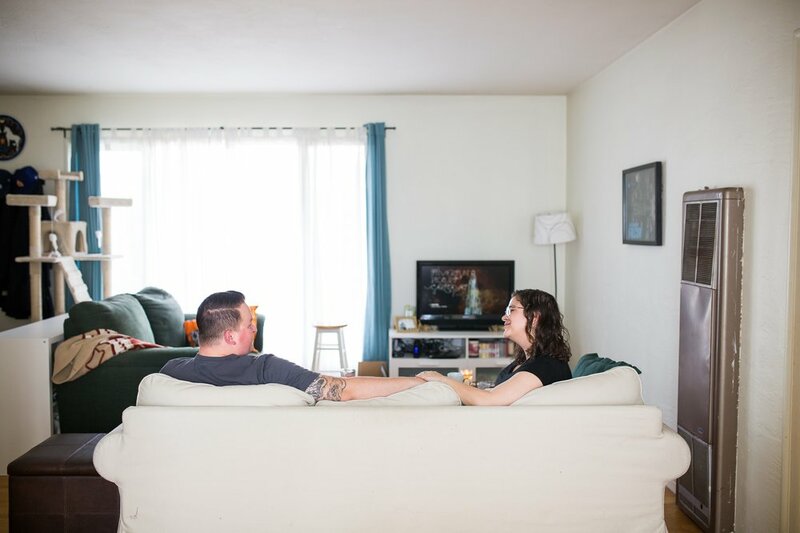 I got to hang out in their Santa Cruz apartment, Kat talked about the weird and wild magic of pregnancy, and Jesse looked at her with constant adoration. They are a true team. 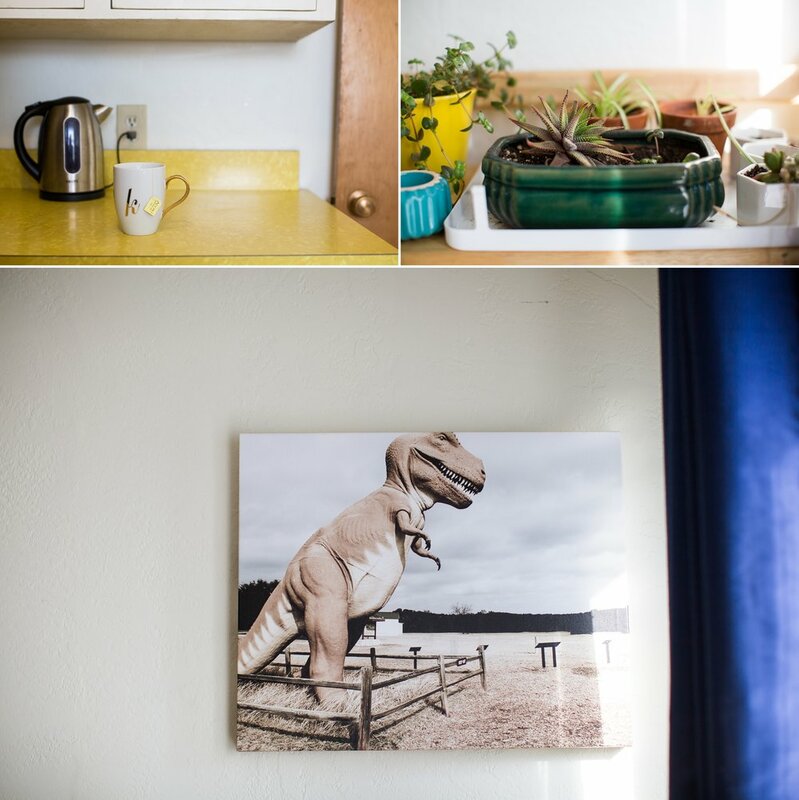 Their apartment is full of love, laughter and dinosaurs. And two cat fur babies, one of which came out to say hello. I'm sure they will be the best cat siblings to Baby Reddell. Kat reenacted a moment when she got trapped between the couch and the table as she was stretching. "I was rolling around like a turtle stuck on its back" she said, laughing about the very normal things that become almost impossible when pregnant. We headed to the beach for a longer-than-expected walk to the cliffs. Don't forget: it takes two to tango. With her powerful woman magic, and his constant husband support, I think they both deserve flower crowns. Kat, you are the chillest mom I've ever seen. You are gonna rock at this. Baby Reddell is now out of the womb and into this world!